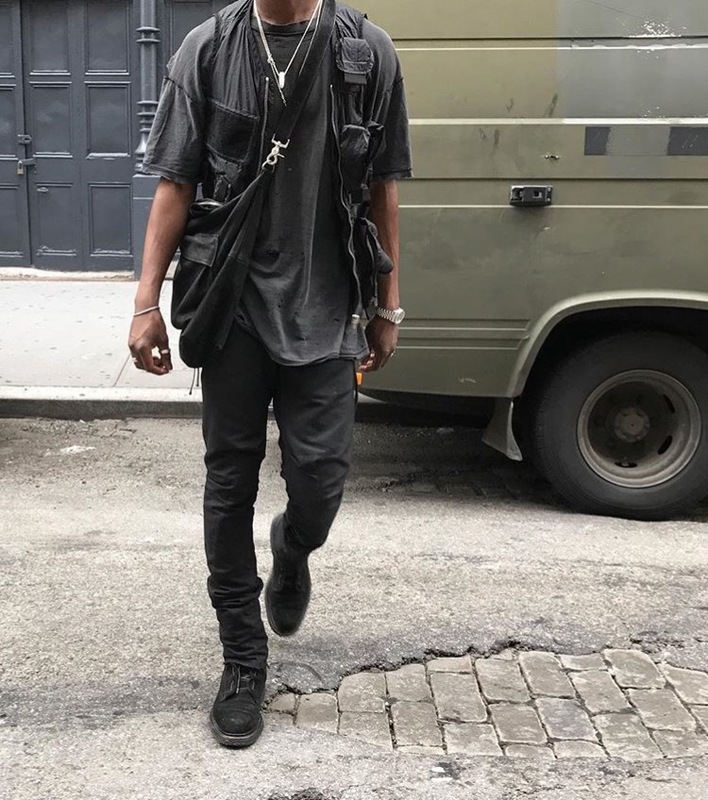 Rick Owens cargo vest- Vintage tee- Black jeans- Dior boots. Dries Van Noten sweatshirt- Acne Studios- Dior Homme boots. Alyx button up- Undercover trousers- Dr. Martens derbies. Unknown brand Palm tree shirt- Balenciaga jeans- Dior Combats- Alyx belt. 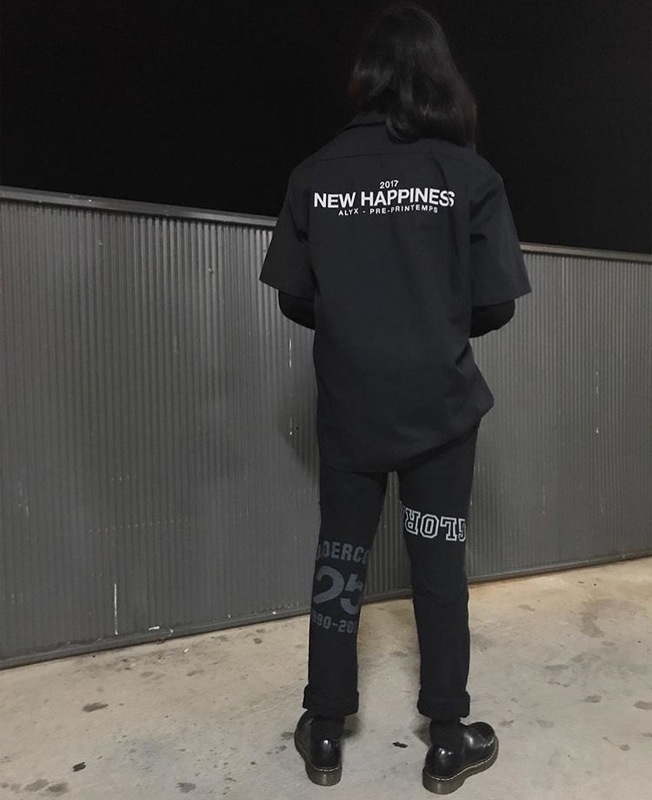 Black long sleeve- Julius cargos- Asif Future sneakers.